a focus on Texas based artists and exhibitions. North Texas, Dallas, Houston and in between. MissionXXXCrisis: ACT III from Tarrah Krajnak on Vimeo. Including Texas artists Nick Barbee, Katrina Moorehead, Faith Gay, Sterling Allen, Charles Hancock, Lance Letscher, Tom Sale, Camp…, William S. Burroughs, Dan Phillips, Margaret Meehan, William Gaynor, Joshua Saunders, Alexandre Rosa, Taro-kun, and Leon Allesi. 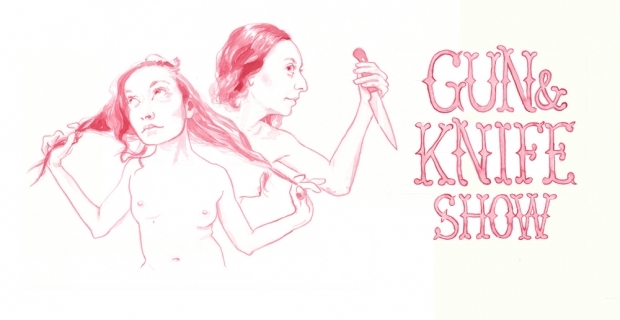 Curated by Heyd Fontenot (of the naked people portraits). This should be a good one. Participating in the 2011 Texas Biennial. We stopped by Plush on Saturday to check out the latest offering from Randall Garrett. The exhibition included Mark Todd "Comic Book Paintings" and a group exhibition including gallery artists Brandon Behning, Daniel Kurt, Ben Utigard, Celia Eberle, C.J. Davis and Brian Ryden. LtoR: Jim Jam, Buff and Green, Orange Box, Peteus, and on shelf Ray Gun Laser. Nice surprise of wonderful drawings by Daniel Kurt. Stacey's favorite works were by Ben Utigard of New Mexico. I liked the flower like piece and she liked Stuck. Prsents well-known Los Angeles based illustrator and fine artist Mark Todd will open his first solo show at the gallery on Saturday April 16th. 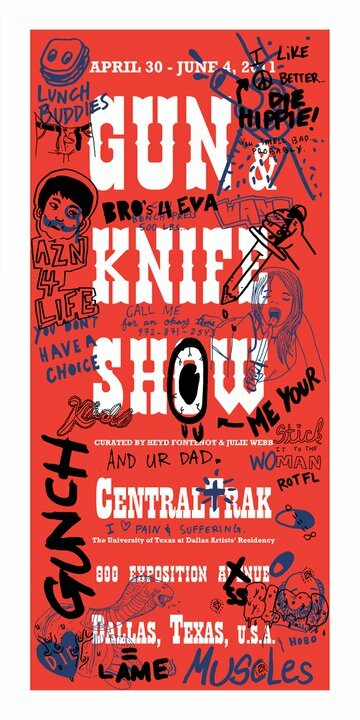 He will be showing a new body of comic book remix paintings and collages, as a prelude to his upcoming summer solo show at La Luz de Jesus in Los Angeles. Raised in Las Vegas in the 1970s, Todd's work makes use of and subverts the pop superficiality of our culture, to address heavier topics such as mortality, remembrance, loss, and the passage from childhood fantasy to adult reality. 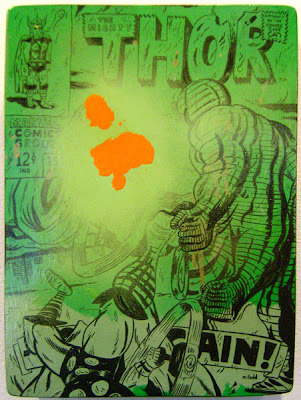 Works such as "Green Thor" depict upended super-heroes, landscapes populated by disembodied ghosts, and subtle yet biting takes on imagery from his youth. Todd graduated with honors from Art Center College of Design in Pasadena, California, and is an in-demand illustrator for such national publications as Rolling Stone, GQ, Business Week, Los Angeles Times, and Mtv, among many others. He has been featured in numerous group exhibitions nationally, and in solo shows at La Luz de Jesus and Billy Shire Fine Arts in Los Angeles. Todd is currently curating an exhibition at Giant Robot in San Francisco. Opening concurrently will be Gallery Artists Group Show, featuring work in various media by six Plush artists, including Brandon Behning of Santa Fe, C.J. Davis and Brian Ryden of Dallas, Celia Eberle of Ennis, Texas, and newcomers Daniel Kurt of Commerce, Texas and Ben Utigard of Española, New Mexico. Al Sousa art on the wall and David Ireland sculptures on the shelf. Visited Plush Gallery's room at the Suite Art Fair today. The Belmont Hotel is an awesome mid-century hotel that has one of the best views of Downtown Dallas. Works by Ben Utigard, Peter Ligon and Brian Ryden. 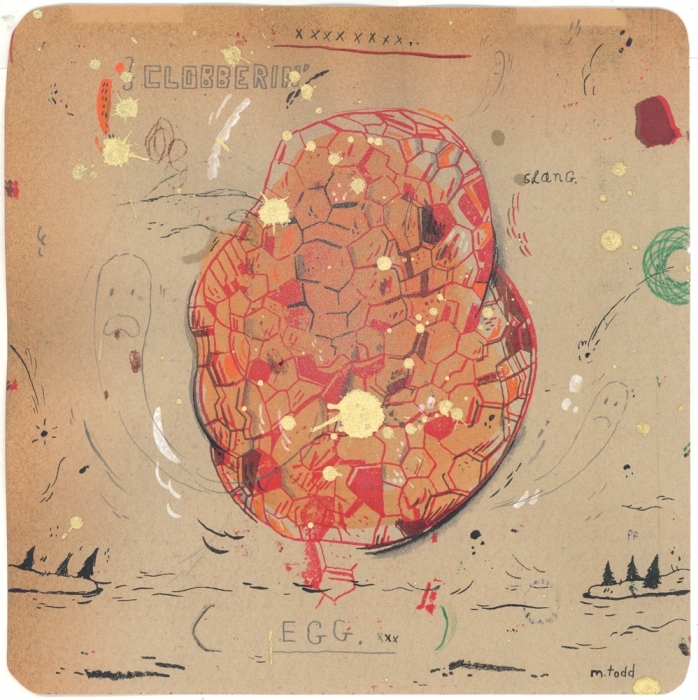 Works by Brandon Behning, Celia Eberle, C.J. Davis, Daniel Kurt, Val Curry and Mark Todd. Bernar Venet at William Shearburn Gallery, St. Louis, Mo. Mimmo Paladino at Zane Bennett Contemporary Art, Santa Fe, NM. Visited the Dallas Art Fair today and most of my favorite galleries were participating. The knockout work for me was Yuko Murata's at Inman Gallery. This painting was my absolute favorite of everything I saw at the Fair. Yuko Murata was born in Kangawa, Japan and studied at the Tokyo Art School, Setsu Mode Seminar, graduating in 1995. 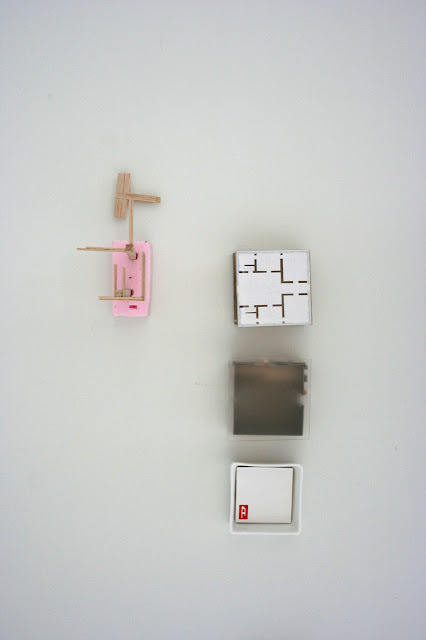 She presently lives and works in Tokyo. Murata consistently depicts either semi-abstract landscapes conspicuously absent of figure, or one or two animals placed within a landscape. Kerry and Patrick - thanks for sharing this wonder work! Visited the Neiman Marcus window installations in downtown Dallas this morning. This window installation is by Bill Davenport. This installation is a small part of Bill's Junk located in the Heights neighborhood just north of downtown Houston. Bill's Junk is crammed with thirft-store art that Davenport has collected over the last 20 years, along with some of his own creations, other artist's little know works, leftovers from the defunct Museum of the Wierd and other unusual things you can't live without. 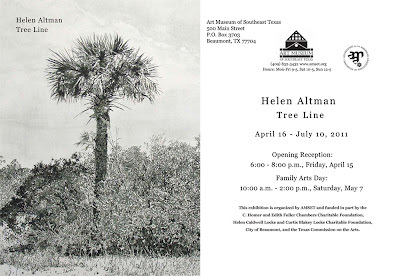 Tree Line, organized by the Art Museum of Southeast Texas, features the work of Fort Worth-based artist Helen Altman. The exhibition includes Altman’s torch drawings, tree paintings on paper, packing blanket works, snow globes, and goldfish pieces among others. Altman’s work centers mainly on mimicry and replication, and the themes that surface in her works include separation, loneliness and overcrowding, individuality and loss of identity. Dallas artist Alison Starr constructs objects from a colorful fabric of plastic shopping bags in a seemingly futile attempt to minimize her environmental impact on the world. The show title, HD-LS PE, is the shortened name for, “Hi-density polyethylene and low-density polyethylene,” the letters on the type of plastic used to make the bags used in the work. Sometimes literal (bags becoming flocks of hundreds of miniature birds or rows upon rows of suburban houses) Starr injects humor into the work and a quirky beauty employing the industrial palette inherent to her chosen materials. Mark Todd's work will be featured in Plush Gallery's next exhibition. "Mark Todd, Comic Book Paintings" that opens Saturday, April 16th 6-9pm. All photos, Rodney Rogers © 2005-14. Simple theme. Powered by Blogger.